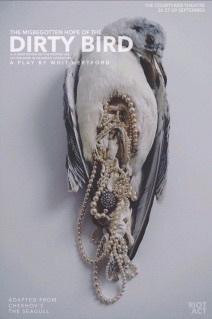 Riot Act presents at the Courtyard Theatre a new version of The Seagull under the name The Misbegotten Hope of The Dirty Bird. It sounds bold, philosophical and avant-garde but actually there are few surprises and worthwhile changes to the original play. Darcy Oake really knows how to put on a show. The atmosphere is instantly created with literal smoke and mirrors and a short video in which Oake shows off his illusory tricks. It’s no surprise that Oake did so well during his time on Britain’s Got Talent, as there are clear signs of similar hype techniques used in both shows. This kind of melodramatic build up can really work up the crowd, but not half as effectively as when Oake does take to the stage and delivers a quick succession of impressive dove tricks. What better way to spend Halloween than savouring the weird and wonderful at The Dark Circus Party. The evening includes astounding aerial acts, freakishly talented dancers and crazy circus sideshows – all washed down with delicious cocktails. Brought to you by Bourne and Hollingworth and Torture Garden, this is a night of fabulous thrills which is not to be missed! The evening’s dress code is Opulence, Glamour and Fantasy with a Dark Circus Twist. So, let your imagination run wild and dress to impress. What is another name for Halloween? Please send your answer, along with your name, address and contact number to theatrefullstop@gmail.com. The deadline for this competition is Friday 23rd October. The winner will be announced shortly after and chosen at random. Good luck! Mike Bartlett‘s modern history play, boldly written in Shakespearean blank verse, won the Olivier Award and The Critic Circle’s Award for Best Play and was named “Play of the Year” by a variety of publications. After a successful run at the Almeida, it transferred to the West End and is now touring with a new cast and Robert Powell in the title role. 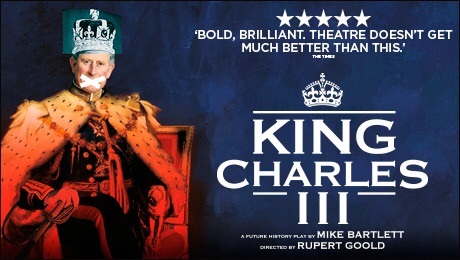 Directed by Rupert Goold, the production is a fictional account of what might happen should Prince Charles become King in the not so far away future. When I heard I was to be reviewing Blahblahblah, a spoken word poetry evening, my heart sank. I am ashamed to say that I considered a couple of bad experiences in GCSE English and the odd sepia-tinted recital on YouTube sufficient evidence to consign ‘modern poetry’ to my ‘self-indulgent and annoying’ pile. I confess my bigotry here in the hope that my conversion might give like-minded individuals cause pause for thought. That said, this is Bristol. I’m probably preaching to an already very well-informed choir. If so, you won’t be surprised to hear that I could not have been more wrong. 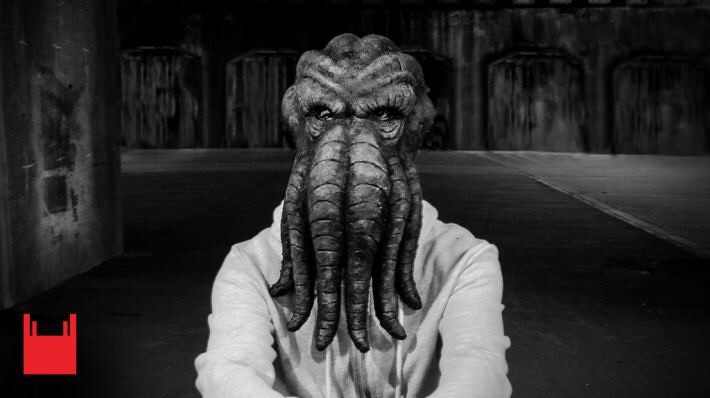 Situated in the centre of Manchester lies a very dark secret… Its name… Pomona. Many have speculated the goings on of this mysterious setting, however their questions and speculations appear to be as useful as a never ending corridor… as questions multiply, and yet remain unanswered. Sometimes the harshest of situations can extinguish the most fiery of family dramas. In the case of bereavement, this can truly test the limits of a family’s circumstances and beliefs. A family can either become stronger in their bond, or disband and live fractured lives. 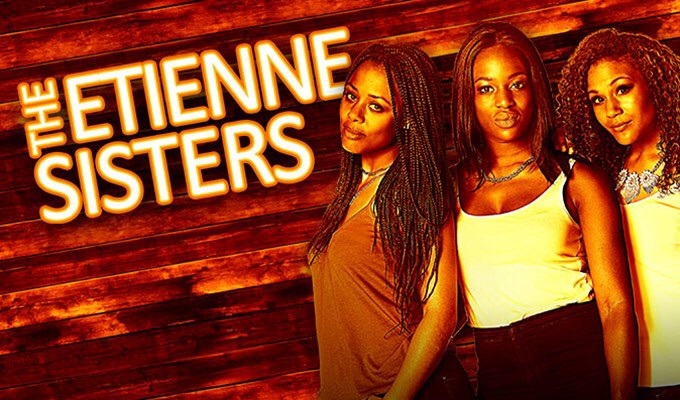 Cue Ché Walkers, The Etienne Sisters. A tale of bereavement, sisterhood and disheartning truths. 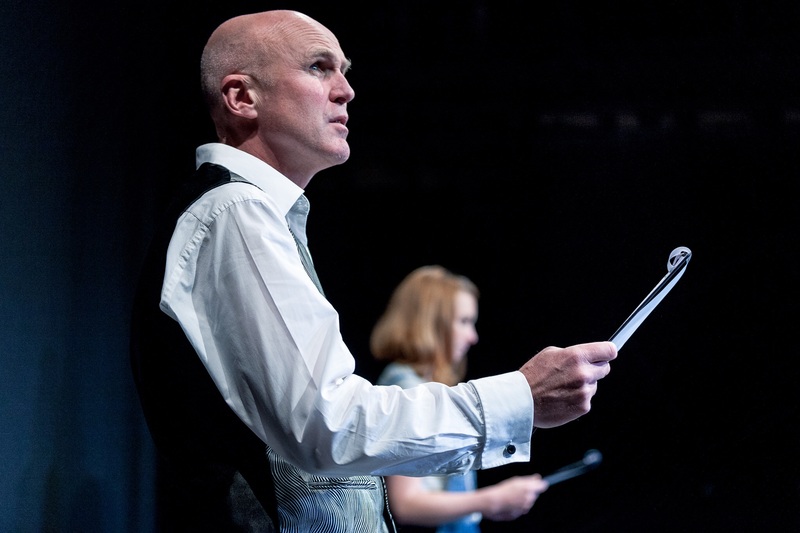 The Bristol Old Vic hosts the 10th anniversary performance of An Oak Tree by eminent theatre maker Tim Crouch. His penchant for creating work that questions and pushes the boundaries of theatrical form has made him one of the most discussed theatre makers of the last ten years. Despite the distinct absence of a tree, oak or otherwise, the play delves into the audience’s expectations of theatrical representation and raises questions about how we expect characters to interact in a relatively unrehearsed situation. To describe Tim Crouch‘s An Oak Tree as ‘hypnotic’ might seem to be stating the obvious; it is, after all, a show about a stage hypnotist. Except that it’s not. 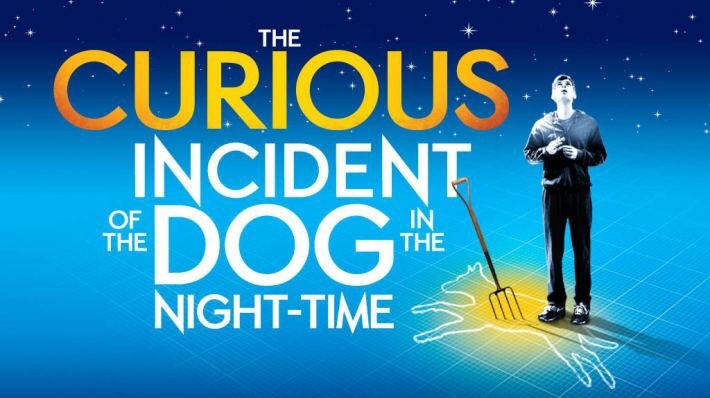 The Curious Incident of the Dog in the Night-Time adapted by Simon Stephens from the book by Mark Haddon and produced by the National Theatre is a visual feast, with assured performances from a tight ensemble cast and a dazzling array of stage and lighting tricks. The style of the piece sets about mining a rich history of complex movement and physical theatre techniques, drawing from the methods of people like Rudolf Laban and Jacques Lecoq. Using these ideas to tell the story and in place of complex set and scenery is an insight into the way our protagonist and narrator, Christopher, sees and interacts with the world.